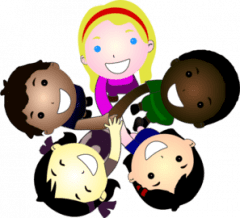 Article 15 – You have the right to choose your own friends and join or set up groups, as long as it isn’t harmful to others. At Bournmoor Primary we believe that all pupils should have access to a wide range of activities to help develop their skills and allow them a chance to try new things. With this in mind, we offer a range of extra-curricular activities such as football, cricket, music tuition, writing for the school newspaper, maths club, dance, cheerleading to name a few. Some clubs are aimed at specific age groups to ensure the tuition given is at the appropriate age and level of ability. Sometimes we offer one-off opportunities to try something new (like a Taekwondo taster) so all pupils can have a go at a new activity. In addition to this we like to hear about what our pupils do outside of school so we can celebrate their achievements. Pupils can share their experiences in assembly and tell us about the event they took part in or show us their medals and trophies. We enjoy sharing their good news and hope this inspires others to try something new.